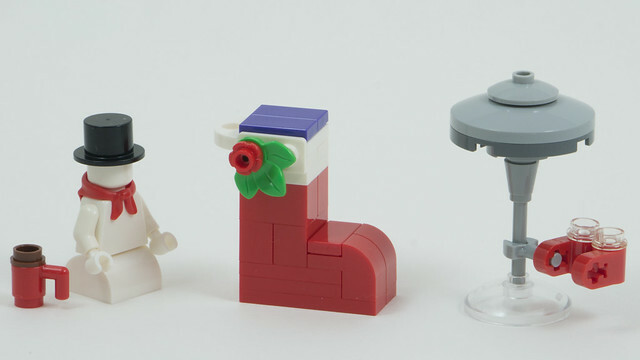 The City model gives us half a minifig snowman. 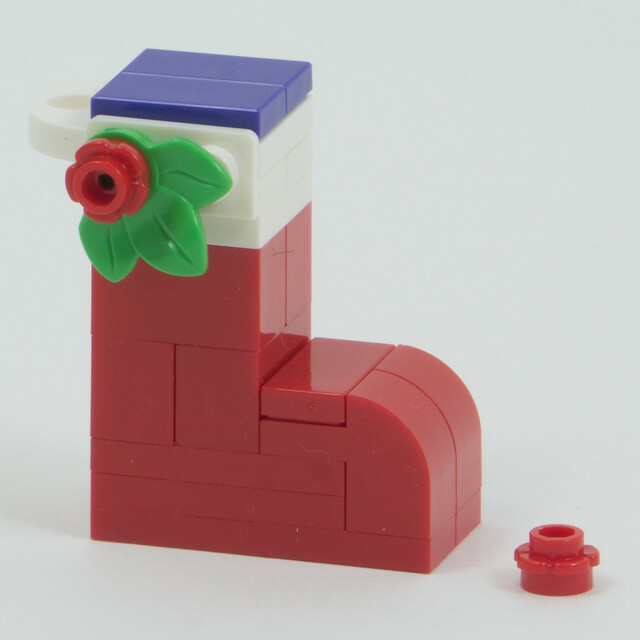 Instead of legs it has a curved 2×2 brick. Notably, it has no coal (eyes and buttons). Conserving fossil fuels perhaps? 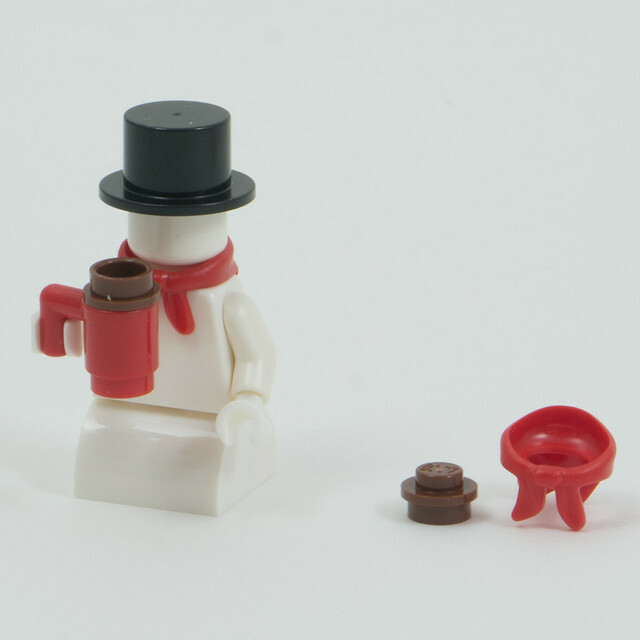 He comes with a hot steamy mug of hot cocoa, which may not be a very smart idea for a man made out of snow… Comes with extra cocoa and a spare neckerchief. In Friends we get what looks like a boot but I’m sure is meant to be a stocking (as in, hung by the chimney with care). Includes an extra flower. 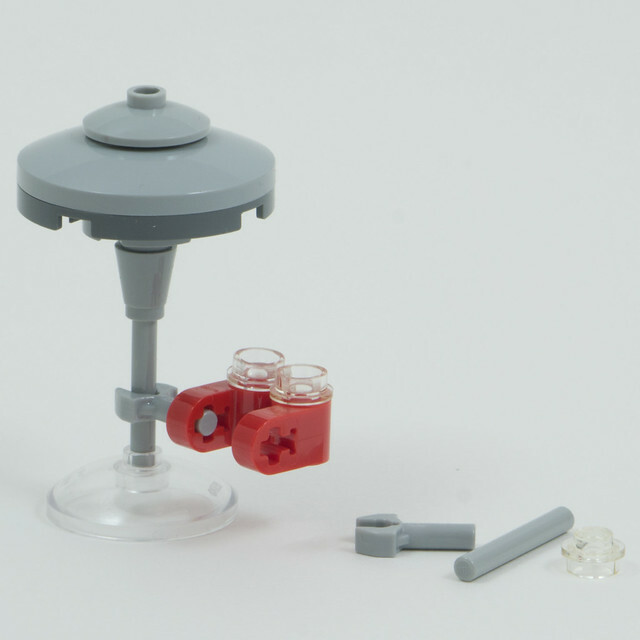 Finally we get to the Star Wars model, which plays on the bounty hunter theme established yesterday but in a very small micro scale. Cloud City with a cloud car flying beneath (not to scale though). Extras include the stick that supports the city and the one that supports the cloud car.